This capable printer finishes jobs faster and delivers comprehensive security to guard against threats.1 Original HP Toner cartridges with JetIntelligence give you more pages. Media Sizes Supported Letter, Legal, Executive, A4, A5, A6, B5, etc. Speed, agility, and more capabilities, the HP LaserJet PRO M402DN Mono A4 Printer delivers more than what you pay for. With a print speed of up to 40 pages per minute in black and an output of up to 80,000 pages per duty cycle, this machine gives more value for money, literally. Just calculate the print output per cartridge. 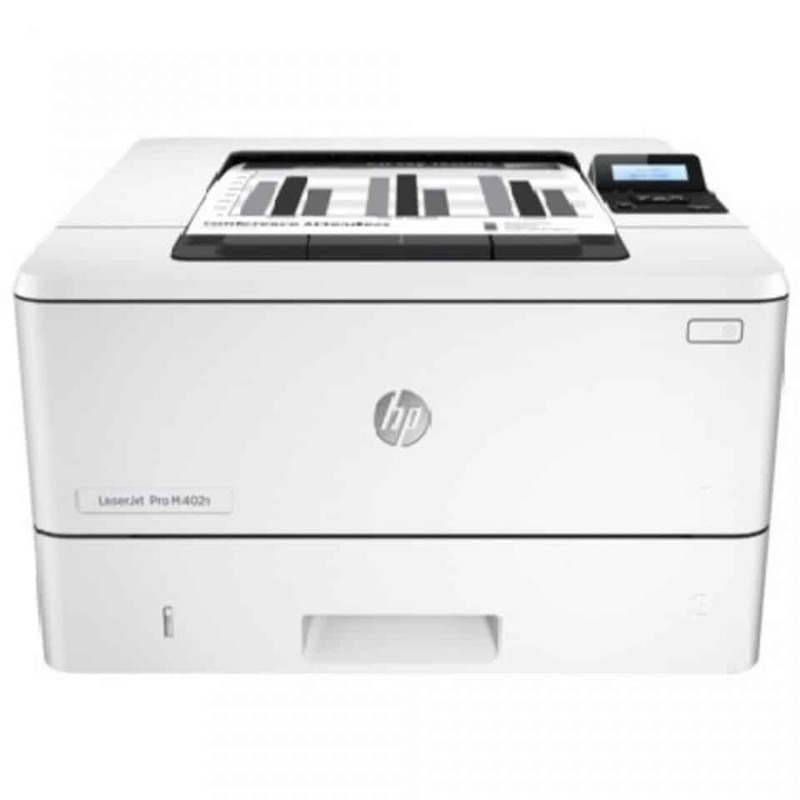 The HP LaserJet PRO M402DN Mono A4 Printer comes with an Auto-On/Auto-Off Technology that helps save energy as it automatically shuts off the printer when not in use. It is also ENERGY STAR® certified, which accounts for its energy efficiency compliance. The Jetintelligence feature of the Original HP Toner cartridges also ensures that less energy is used when printing. Combined with duplex printing capability, your business can go green with this printer. The ability to print on the go deserves to be mentioned twice as it takes the hassle of going through the usual printing process. You won’t need a computer if you have compatible apps installed on your mobile device. These include the HP ePrint, Google Cloud Print, and Apple AirPrint for Apple devices. With the HP LaserJet PRO M402DN Mono A4 Printer, you can enjoy high-quality printouts at low costs. In a business environment, this would prove beneficial all around.